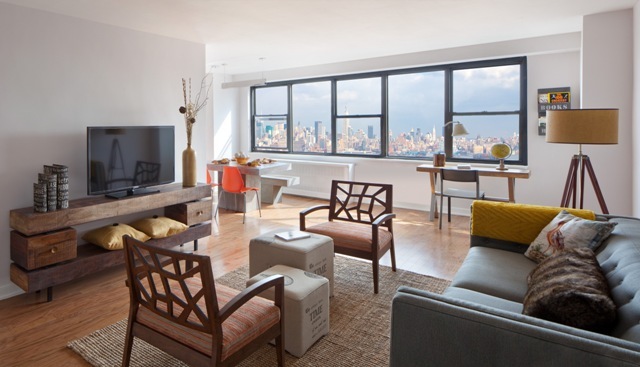 UNION CITY, NJ – A new collection of luxury condominium residences and an exciting suite of upscale amenities have been introduced at The Lenox, the 16-story high-rise building in Union City, NJ just minutes from midtown Manhattan, Hoboken and The Gold Coast. The new offering follows the recent completion of a comprehensive modernization program throughout the building which has produced outstanding purchasing opportunities for buyers looking for an upscale and convenient urban living experience at an attainable price. Available for immediate occupancy, the newly-released studios, one- and two-bedroom residences feature spacious floor plans with contemporary finishes and appointments at attractive prices starting from just $179,000. The building is also approved for favorable financing programs offered by the Federal Housing Authority (FHA) that require only a 3.5% down payment. “In Hudson County’s crowded field of high-priced townhomes, condominiums and rental residences, The Lenox offers a popular alternative for those seeking new homeownership opportunities in a fully-amenitized building with proximity to New York City and all that the Gold Coast has to offer,” says Abe Tress, Director of Acquisitions of Sun Equity Partners, developer of The Lenox. A variety of floor plans are available at The Lenox which range in size from 535 to 1,089 square-feet of living space. Designer finishes found throughout the homes include hardwood floors, kitchens with stainless steel GE appliances, custom white gloss kitchen cabinetry and quartz countertops with marble backsplashes; and spa-like bathrooms with imported tile walls and floors and Moen shower fixtures. 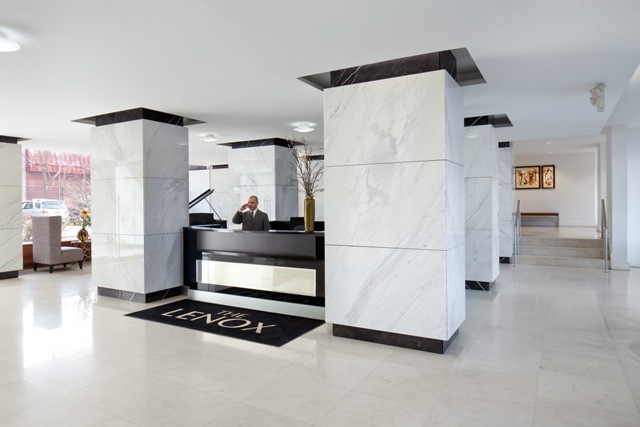 For additional information on The Lenox, please call (201) 866-8768 or visit http://www.thelenoxcondosnj.com. The building’s Sales Center is open by appointment only. Open Houses are conducted on Sundays from 1 p.m. to 3 p.m.